Every organization talks about innovating faster and lowering costs...but few are successful at making it happen in any major way. But what could give your organization? 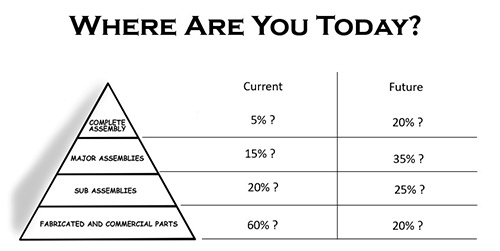 What is the Engineering Productivity Pyramid Paradigm? 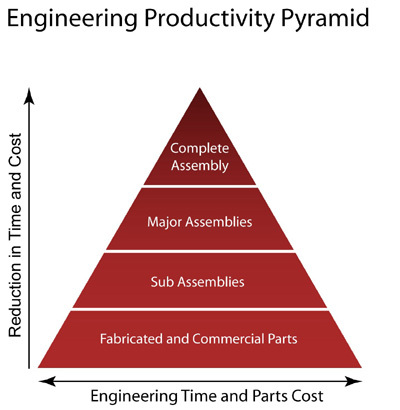 The Engineering Productivity Pyramid is our proprietary methodology to move organizations up the Engineering Productivity Pyramid (moving from primarily working with fabricated and commercial parts to more assemblies and configuration engineering). 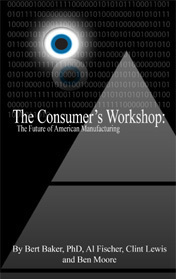 This methodoloy has had major success from small to multinational companies, especially for custom product/industrial equipment through standardization, modularizing components, systemization and a shift in culture to achieve faster innovation and reductions in time and cost. If you are interested in how our Engineering Productivity Pyramid (EPP) methodoloy can help your organization, contact us. Through our facilitated EPP study process, we will help your team determine the potential increase in project speed and decrease in operating costs for your organization and product lines.